The Competitions page lists events geared towards the young trumpet player. If you have an event you'd like placed on this page, please contact the editor, Trevor Duell at [email protected]. The International Trumpet Guild announces scholarships provided by members of the music industry and by the Renold Schilke, Clifton G. Plog, Donald P. Bullock, and "Sandy" Sandberg Memorial Scholarship Funds. 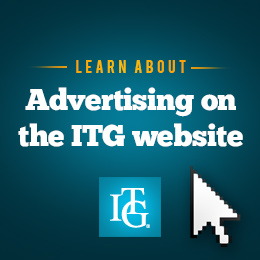 The ITG, in its efforts to encourage young performers, presents two competitions for players of all soprano brass instruments (trumpet, cornet, flugelhorn, E-flat cornet). Students are invited to participate in the competitions which will take place at the annual ITG Conference each summer. Conference location changes from year to year. Depending on the number of entrants, there may be a preliminary round prior to the finals which would also will be held during the course of the confernece. Candidates will be provided with written comments from a distinguished panel of judges. 1st Prize: $1000 - The Bach Award for Excellence or a Bach B-flat or C Trumpet.